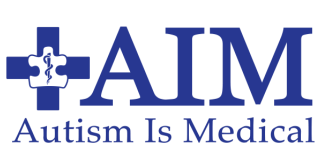 Autism is Medical (AIM) was created in 2007 by Jill Rubolino, Amanda Lochbaum, and Jeanna Reed. It is an active parental support group, hosted by meetup.com, which continues to offer parents a place to share information and learn valuable insight into how to navigate the myriad of medical issues that affect children with ASD. The group has grown into an active support system with parent members nationwide. In these past few years, we have grown to realize the need for national advocacy in regards to developing a standard of care regarding the medical care of children with Autism. In 2013, the founders of AIM took their mission one step further by forming a nonprofit dedicated to serving the growing needs of this medically complex community. NO child who exhibits symptoms of Autism should go without a thorough and appropriate workup. NO family should be denied access to appropriate medical care. "We are eternally thankful to everyone involved for taking this journey with us, and hope you will join us as we continue to fight for the appropriate medical care of individuals with a diagnosis of Autism." (c) Copyright 2014 Autism Is Medical. All Right Reserved.